When Should I Go To Walt Disney World? When to make a visit to Walt Disney World is one of the most asked questions. When to go often depends on when you are available to take a vacation. And, there seem to be more people visiting at all times of the year. 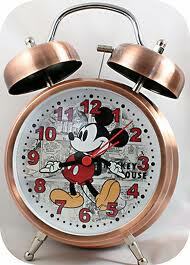 However, there are still ‘lighter’ times to have an adventure at The Happiest Place on Earth. Let’s look at a few of the busiest times first. There’s the week around July 4th with celebrations throughout the week. After that, the rest of July and August is pretty much a rush the whole time. Next on the calendar would be the week around Thanksgiving. There are a bunch of people who make the pilgrimage to the Orlando area during this time to squeeze a few days of magic in around the turkey. And the busiest time, I think, is the week of Christmas through New Year’s. Crowds are CRAZY, loud, hot, and not moving quickly around any of the parks. That being said, there are some pretty good times that don’t see this kind of crowding take place. First of all, the month of January after the New Year’s through the week of Presidents Day is quite peaceful. Most attractions are walk on, and chances of a walk-up dining experience are better than average! Temperatures can be a little fickle, but rain is scarce. The month of May can be pretty good after the Spring Break crowds go away and before the Summer rush begins. Weather can be warmer and a bit wetter, but a rainy day at a Disney Park is better than a day in the real world! September through October can be pretty quiet. Keep in mind that October brings around the EPCOT Food and Wine Expo, and the weekends can be busy around World Showcase. But, the weather may cool down a bit from the summer heat and humidity, and crowds do lighten up through the week. So, study your schedule carefully and choose wisely the time of year you want to visit! The more you plan, the more you will get out of your vacation. There are many online tools available to help you, and if time to plan is not a part of your schedule, make use of a Disney Authorized Travel Planner! They are here to help make your trip magical! If you need one, let me know, I can refer you to someone in your area! Have a Magical and Blessed New Year!